iOS is a mobile operating system that is created by Apple and features on all Apple devices including the iPhone, iPod and iPad. After Android, iOS is the second most popular mobile operating system. Major versions and updates of iOS are released annually, but smaller updates are also released every few months. One of the things that baffles people the most when owning an iPhone are the iOS updates that are required every few months. These updates often bring new and exciting features to the iPhone, hence why so many people are keen to update their phone, as soon as the opportunity becomes available. However, sometimes the process can be a little complicated, with horror stories of phones turning off and never coming back on, all storage being totally wiped and phones not charging, after they have been updated. If the update is performed properly and your phone is in the correct condition, then none of the above should happen. However, it is important to know how to update your phone properly to avoid any mishaps. 1 Why do you need to upgrade your iOS? 4 Can I Cancel an Update? 6 So What is Coming Next? Why do you need to upgrade your iOS? Before you upgrade to any version of iOS, there is probably always someone that has done it before you, so you can read online about what the upgrade can do your phone as well as find out details about new features you can expect to be using after you have downloaded it. 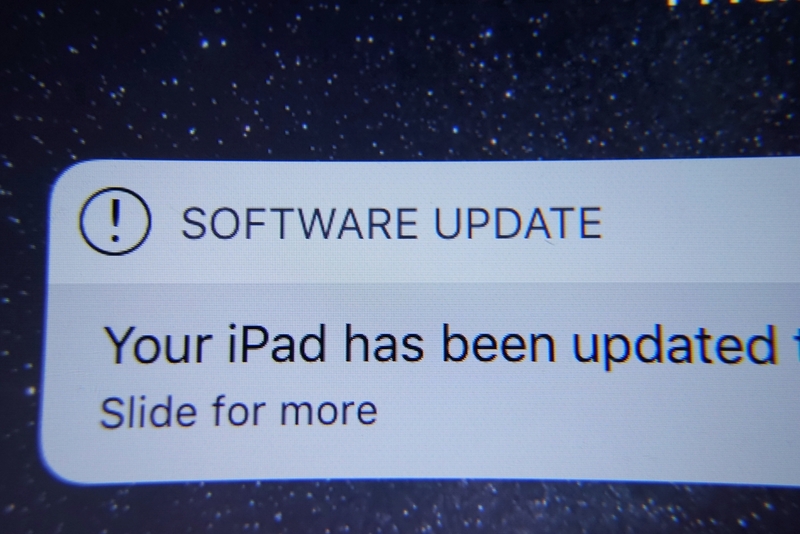 You will be given a notification in your iPhone (or iPad) settings which will inform you that an upgrade is available and eventually you will need to run this upgrade for your phone to work effectively. Most of the time, there has been a slight flaw in previous updates and so the latest update to come around will fix this flaw – which is why it is important to continue to update your phone, when the opportunity arises, so it can operate as effectively as possible. Flaws in the iOS versions can sometimes include security bugs and so it is important that you do upgrade to the latest version. Some Apple devices are no longer able to be updated because they are too old and therefore the software is not compatible. You must have at least an iPhone 4 or iPad 4 in order to go ahead with the new iOS 10.3 update and any updates that will come after that. if you have decided to update your phone and you know that your data isn’t backed up, it is an idea to back it up before you begin any sort of new software download as there is a chance your phone could be wiped if an error occurs. Please remember that you will not be able to use your phone whilst the update is happening, so it might be worth doing it when you are at home or have a back up form of communication for emergencies. So you’ve had the notification in your settings and you know that a new version of iOS is available, but you’re not sure how to go about safely upgrading your iPhone or iPad. First things first, in order to kickstart an upgrade, your phone needs to be plugged into power and you need to be connected to a local wifi connection. You can then go into your settings and you will see a small red circle with a ‘1’ in the centre next to your software. This indicates that it needs updating. 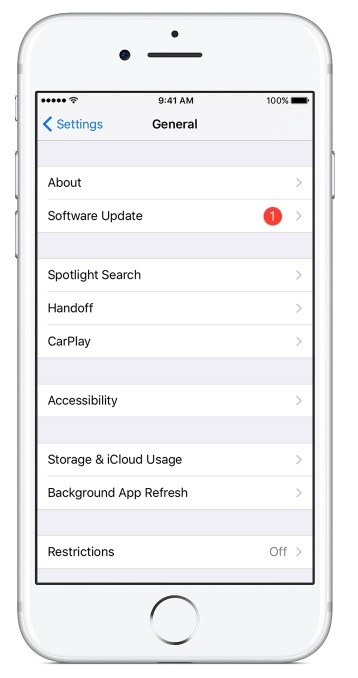 You should then select the software update that is showing in your settings and tap ‘download and install’. The process should now begin. Depending on your phone, the upgrade may take quite a while or it might be done in five minutes. If your phone is taking a while to upgrade, don’t panic. You will be able to see how long is left of the upgrade because there will be a timer bar displayed on your phone which will slowly begin to fill as the upgrade progresses. This is how you will know that your phone needs to be upgraded – you will find the option to upgrade in the general area of your settings. If the upgrade is available, select to download and update (you might need to enter your passcode on your phone). Your upgrade should then complete within half an hour – please note that you won’t be able to use your phone during this time, but once the software has been updated it will likely run a lot faster. Hopefully, it will be plain sailing when it comes to upgrading your iOS, but if there are some struggles along the way, it is likely to be due to a number of the following reasons. Before your phone updates, you will have to give iOS permission to access your files by entering your passcode. If you have forgotten your passcode or the phone is telling you that you are entering the incorrect one then iOS won’t be able to complete the upgrade. There are a number of things that you can do in order to retrieve your passcode (please note that if an incorrect passcode is entered wrong more than six times the iPhone/iPad will be disabled so don’t keep trying if you are unsure) but unfortunately there is no way to save your device’s storage if the passcode is lost, because it will need to be totally wiped. The quickest and easiest way to erase your device is through iTunes which will delete all of your data and settings (there is, unfortunately, no other way to recover your device if the passcode has been forgotten). You will need to connect your device to the computer that your iTunes is synced with and click to ‘restore iPhone’. This means that after your iPhone has been erased and the passcode removed, you will have a back up that can then be restored onto your phone’s software. This might seem a little vague, but sometimes an error message will occur and sometimes it takes a while to figure out why your phone will not respond to the upgrade. The error message will usually explain that the software has failed to install and will give you the option to retry. If you have re-tried a couple of times still to no avail, you might want to head into your local Apple store and make an appointment with a member of staff so that your phone can be looked at and the issue investigated. Can I Cancel an Update? If you have completely installed a newer version of iOS onto your phone, then you cannot delete the update and go back. However, if you have begun the update and change your mind – maybe it is taking too long and you need to use your phone or maybe you no longer want changes to your phone at this time, then you can go into your settings and see the progress of the update. If the update hasn’t completed its course, there is still time to cancel. Open your device’s settings, and select the ‘general’ option. Once you are there, select ‘usage’ and the list of applications that are using your storage should be displayed. Scroll down the list and you will come across the iOS icon. Once this is selected, you will be taken to the update page and be given the option to cancel the update. Any progress of the update will now be deleted – you can choose to re-download the update at a later date. iOS brings out a major update annually, and at the moment, the most recent version is the iOS 10, but coming in a few months is the iOS 11. There are a lot of handy features that come with the iOS 10 upgrade and these include a huge change to messages (it is now a lot easier to send picture messages and there are also a lot funky little features such as being able to ‘write’ your message with the pencil tool as well as being able to send pre-installed gifs). There is also an improvement to the maps feature, and when using the Sat Nav, iPhone users can search for useful things around them such as petrol stations and coffee shops. If you stop off, the map will tell you how much extra time you have added to your journey, so everything still runs smoothly. There has also been a total redesign to Apple Music which makes it easier to play your favourite songs. One big iOS feature is the ‘pick up to wake’ feature that means your iPhone comes to life the minute you pick it up. There’s no longer a need to press any buttons to see if you have any messages or reminders because your phone will light up with movement (you can disable this feature if it doesn’t suit you). iOS will also name your photos for you, depending on what is in the picture. The benefit of this is that you can search through your photos to find a specific one rather than scrolling through the thousands of pictures that we all have on our iPhones or iPads. There is also a redesigned news app so that you will never miss out on any of the top stories – you can even set breaking news notifications if you don’t have time to visit the app. Every time iOS is updated, so are their security measures and iOS 10 cleverly uses on-device intelligence to recognise the people and places in photos, and any data that is shared via things like Siri and Maps is always encrypted and never shared with third parties. Next out (in the Autumn of 2017) is the iOS 11 which has been described as a ‘giant step for the iPhone’ which claims to make devices more capable than ever. Watch this space!